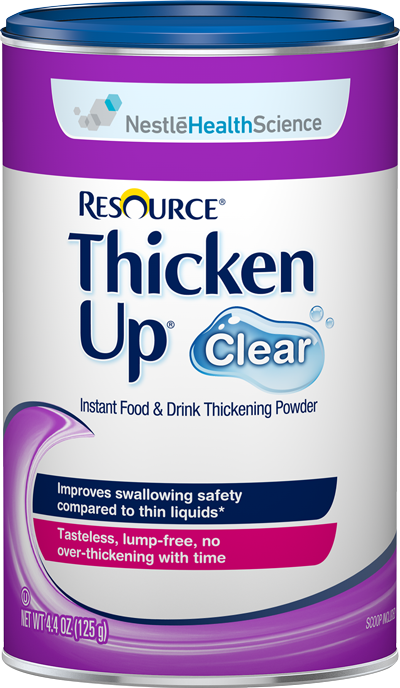 RESOURCE® ThickenUp® Clear is an innovative, non-starch based thickening agent designed to rapidly thicken liquids and food for patients with dysphagia or swallowing difficulties. Once prepared, liquids remain clear and lump-free. RESOURCE® ThickenUp® Clear does not affect the taste or odor of the food or liquid. 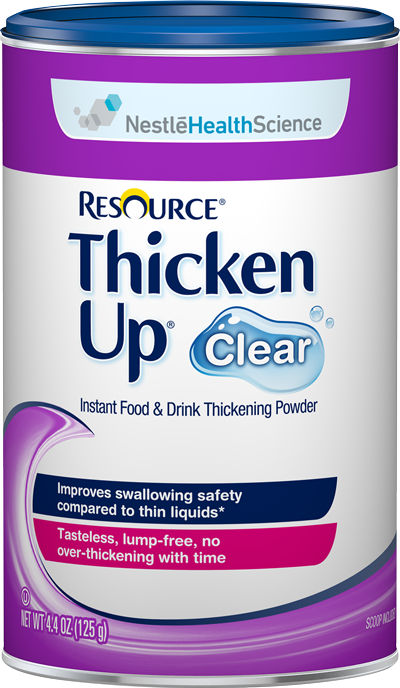 RESOURCE® ThickenUp® Clear is for adults & children 3 years and older. Mixes and dissolves easily in a wide range of hot or cold foods and beverages, including those containing protein. *Leonard RJ, et al. J Acad Nutr Diet. 2014;114:590-594. *National Dysphagia Diet. American Dietetic Association 2002. Suitable for use with the IDDSI Framework. Order online from your favorite retailers.